As an advisor, you should know the basic rules so you can be ready for clients who ask about having gold in their IRAs. Your clients have seen the TV commercials. They see the celebrities go on and on about having gold in their IRA to avert global financial doom. Clients, shaken by the recent market swings are worried and are looking at alternative IRA investments, like gold. But you’ll have to set them straight to avoid the tax problems and a potential loss of their IRA funds. In general, an IRA may not invest in collectibles, such as metals and coins. However, a specific exemption allows IRAs to hold certain US-minted coins, as well as gold bullion suitable for regulated futures contracts (995 parts per 1,000 or greater). IRA gold must be held with a qualified trustee or custodian. Many major custodians will not hold physical gold, so alternative custodians may need to be found. Make sure to verify the quality and integrity of any such custodian before recommending a client do business with them. The gold held in IRAs is generally easy to value. That’s in part because coins and bars often come in standard sizes and weights. Also, the market price of gold is readily available. This makes calculating the fair market value of an in-kind distribution, or the total IRA value for purposes of calculating required minimum distributions (RMDs), relatively easy. 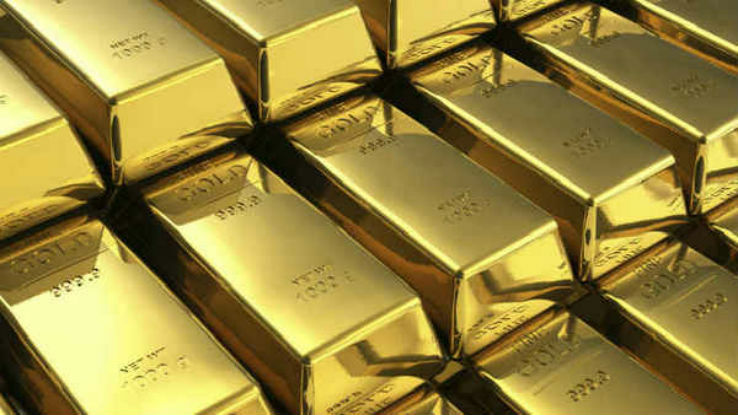 Custodians holding physical gold in IRAs may charge higher fees than other IRA custodians. The reason: to help offset costs associated with precious metals dealers, storage, insurance and security costs. Purchasing the stock of gold mining companies or investing in precious metals funds may provide some of the benefits of investing in gold without actually having to hold physical gold in an IRA. In times of rising gold prices, these investments may perform better than actual gold thanks to the theory of operating leverage. However, in down markets this strategy may underperform gold. Exchange-traded funds that invest in gold allow clients to essentially mirror the gains and losses of actual gold without holding physical gold in their IRAs. Capital gains on IRA and non-IRA assets are subject to different tax treatment. Long-term capital gains on non-IRA gold mining stocks are taxed at a maximum of 15 percent. Long-term capital gains on non-IRA ETFs investing in precious metals, such as gold, are taxed at a maximum of 28 percent as a gain on collectibles. Gains on both gold-mining stocks and ETFs are deferred when held in an IRA and are taxed as ordinary income when withdrawn. ETFs investing in gold are likely not considered collectibles under IRC 408(m). Although precious metals ETFs are taxed as collectibles and collectibles are generally prohibited from being held within an IRA, several private letter rulings (PLRs), and the conduct of custodians, provide strong indication that such ETFs will not be considered collectibles under Internal Revenue Code Section 408(m) and can be held within an IRA account. While it seems odd that the IRS would treat such investments as collectibles for one purpose but not another, that’s precisely what they’ve been doing. Even if clients are willing to pay the extra fees for an IRA holding real gold, they may be disappointed. Part of the appeal, for some gold investors, is that gold is supposed to provide an insurance of sorts in case of a disaster. When their neighbors are trying to swap a wheelbarrow full of “worthless” paper money for some canned goods, they’ll have gold coins that will be readily accepted for all manner of goods and services. Of course, that means having access to that gold, which isn’t really possible when that gold is held in an IRA. Taxpayers can’t keep IRA-owned gold coins in a home safe or in their backyard even if it’s segregated from their other gold investments. The gold must be held in a storage facility, as the responsibility of a recognized IRA custodian. Many “Hold gold in your IRA” TV ads are misleading. The ads show gold bars while mentioning gold in IRAs. People are led to think they can just hold their IRA gold at home. That is not the case. If a client wants to get his hands on the actual gold in his IRA, the transfer from the custodian to the client will be an in-kind, taxable distribution. The client will owe income tax on the value of the transferred items and possibly an early distribution penalty. If a client wishes to make a rollover of this in-kind distribution, they must roll the gold over to another IRA and not cash. If they sell the gold for cash and try to roll that cash over, it would be a violation of the “same property” rollover rule. This would not be considered a valid rollover (the initial distribution would still be taxable) and could lead to additional excess contribution penalties. Your clients are watching IRA gold ads right now, so be alert to the tax rules to help them steer clear of costly problems. Be careful here. The last thing you need is a client losing their IRA funds in an attempt to preserve them. All that glitters may not be gold when it comes to IRAs.